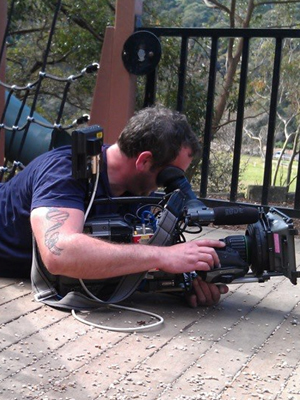 I am an award-winning documentary cinematographer and Canon C300/C500 owner with over thirteen years of professional and international experience. My clients include ABC, BBC, Channel 5 (UK), Shine, Southern Star/Endemol, Cordell Jigsaw, Radical Media, Imagination Television, Screentime, Granada Media Australia, Roving Enterprises, San Pellegrino, Qantas, Facebook and many more. As well as having work screened on all Australian major TV channels, I have lived and worked extensively in the UK, shot short films in South Africa, and screened at the L.A. Comedy Film Festival. I am a full member of the Australian Cinematographers Society for which I was the NSW state secretary from 2010-2017 and I also sat on the judging/jury panel for the Australian Academy of Cinema and Television Arts (AFI/AACTA) for five years (including the TV Grand Jury in 2014). I hold an international accreditation (H.S.E. UK) for underwater work and I have over 150 hours of helicopter camera experience (FLIR and outside). I’ve recently spent six years in Sydney and I am now based in Myocum covering the Byron to Brisbane corridor including the Gold Coast. With dual citizenship for Australia and the UK, I am able and willing to travel and work worldwide on any production for any length of time. My extensive operational experience with most camera systems and formats for digital cinema, documentary, and electronic field production makes me adept at the variety of codecs they represent. 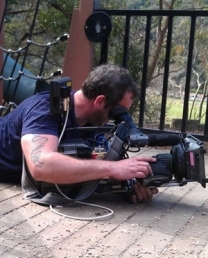 I am known to be easy to work with on set, with a strong work ethic and high production values, and I am very flexible.